‘Empires of Tin’ isn’t an album of sort, but rather a film-project, featuring a harrowing and spell-bounding performances by some of Constellations more revered and respected musicians featured on their roster. In this intriguing film, Jem Cohen offers a bleak, though in some ways, affecting, piece of film, featuring bittersweet and almost horrifyingly and beautiful images accompanied by an incredibly strong set of songs and instrumental pieces. The music and the film projections work seamlessly together, to create what is an incredible experience. In some ways, it is a little hard to review a film-project as one would a CD soundtrack. Often the imagery of the film itself is so separate and distant from its accompanying soundtrack, that it’s almost that band’s soundtrack albums (such as ‘Prince Avalanche’ or ‘Les Revernants’), are in an essence, separate from the films’ they so well accommodated to. I find, that in the case of ‘Empires Of Tin’, that the music, and the imagery, play such an important role in accompanying each other, that they can perhaps be viewed as both a film piece, and an album piece. In any case, the film’s influence in terms of Jem Cohen’s direction of the participating bands and musicians. who include Godspeed You! Black Emperor members Efrim Menuck and Jessica Moss, and hauntingly beautiful singer-songwriter Vic Chessnut, makes for an incredibly beautiful, and sad experience. The music itself plays an important role in not only accompanying Jem Cohen’s video footage, but supporting it, makes for an incredibly interesting listening experience. Fans of the many wonderful artists who are a part of Constellation Records, would find a lot to be enjoyed, or perhaps thought upon, on this film/music project. The musical pieces included in the film cover a range of varying styles, including post-rock elements, and simple band performance. 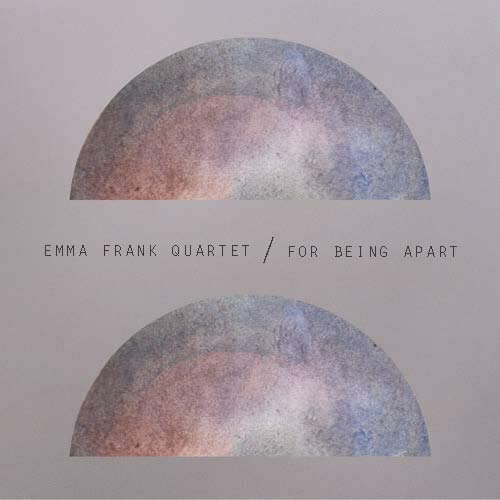 Solo pieces by the various musicians provide a sometimes disturbing though intriguing and beautiful set of imagery, which works well as a presented piece of art. It seems though, that the most crowning moments on the film are those featuring Vic Chesnutt, who simply sits atop his wheelchair, and bares his soul and heart through his songs (spanning a wide range of his career). It’s a phenomenal piece of film-work, that seems to border on the concept of filming a live performance of a band, but also making an avante-garde film. There is a structure, to the music and footage incorporated in this film. Everything just seems to work incredibly well, and it seems Jem Cohen has done a phenomenal job of presenting harrowing images and concepts, and supporting it with the use of some of the most harrowing and intriguing bands in the past few years. It should be said, that it is a slow film, and thus it might not keep the attention of the casual viewer. Though those who are interested in both film and music as an art-form, will find a great many satisfying elements to ‘Empires of Tin’, which, although not the greatest,is perhaps one of the finest things Constellation Records have released. The lovable album ‘The Spark & The Fire’ by jazz-pop band Leftover Cuties offers up an incredibly enjoyable and simply adorable listening experience. Elements of jazz music are interwoven with conventional pop styles, to create what sounds simple, but is a very effective music style. On their latest album ‘The Spark & The Fire’, Leftover Cuties pour heart and soul into song after song, giving an album that is full of character and flair. It’s playful, bouncy, and above all else, a lot of fun. There’s a lot working for Leftover Cuties as a band, whose latest album is just lovely in every way. On ‘The Spark & The Fire’, Leftover Cuties indulge their own particular flairs in the jazz and pop styles of music. There’s a lot of elements of jazz in the music, with pianos and drums taking the forefront of the music, and then accompanied by slightly unconventional yet effective vocals. All of it though seems to be presented in a pop-music format, making the album sound just fun and happy. Musically, the album is strong, with the instrumental of each of the various songs working well to present the overall themes. Nearly everything Leftover Cuties have attempted on their latest album has seemed to pay off, making ‘The Spark & The Fire’ simply a great album. The only nagging negatives that can be found with this record is the simple repetitiveness of a few of the songs, in terms of the instrumentals they each share. There’s not as much diversity between the instrumentals as one might hope for, and after a while things can seem a little bit more dull as the instrumentals seem to repeat over and over. All that is needed is more diversity in the instrumentals themselves, rather than featuring incredibly similar formats in the songs. It’s not enough to have a highly negative impact upon the record’s performance, though it does seem to stand out as one of the only things that could be wrong with this record. Overall though, ‘The Spark & The Fire’ is a highly enjoyable record that is just a joy to listen too. The fun and bouncy instrumentals and vocals make for an incredibly happy and fun listening experience. There doesn’t seem to be many (if any at all) down moments on the album. Normally, I’d argue that albums that are just oozing to the brim of happy-go-lucky tunes get boring after a while, though for Leftover Cuties, it seems the particular style just works for them. One can only hope that Leftover Cuties never loses touch with that spark of happiness. Or fire of happiness, you can take your choice. It seemed that the wave of indie-rock bands that emerged in the early 2000’s needed to be taken with just a little grain of salt. Bands such as The Killers, The Fratellis and of course, Franz Ferdinand, all pushed for a raucous indie style that stormed the charts, and were once incredibly popular. The style itself could be seen as rather basic and perhaps a little samey between the various bands. Now though, we’re left with many indie rock bands, who are left trying to find out which direction to go in. In the case of Franz Ferdinand, it seems the band has just trudged on, and continued to produce the indie-rock sound they’ve been known for, without public taste getting in the way of their vision. Now the band is on their fourth album, ‘Right Thoughts, Right Words, Right Action’, which seems to be a little echo of the old sound that was once so popular. On ‘Right Thoughts, Right Words, Right Action’, Franz Ferdinand return to do exactly what it is they’ve always been doing since their almost-humble beginnings in 2002. Their latest album features many of the clanging guitars and driving bass riffs that have clearly established the indie-rock style. It’s a typical Franz Ferdinand record, and although the band could be categorized as one of the more generic indie-rock bands, they have still managed to produce a record that features some of the better-sounding indie-rock music. At times, Franz Ferdinand bring in the glam and appeal of the traditional style of indie-rock, showing once again why we all fell in love with them in the first place. It is perhaps arguable, that ‘Right Thoughts, Right Words, Right Action’ is perhaps one of Franz Ferdinand’s best records since their brilliant debut effort. It certainly manages to hold itself together much more than Franz Ferdinand’s previous releases. Although there’s a fun and enjoyable element to ‘Right Thoughts, Right Words, Right Action’, it is still marred by what is a very generic sound that does little to break molds or even be truly interesting. Franz Ferdinand are certainly an enjoyable band in their own right, but there’s simply nothing amazing going on in their music to make them really stand out above all others. The band is certainly trying, and are definitely a cut above the average bog-standard indie-rock band, though they don’t seem to beat them by much. It’s certainly fun to hear indie-rock music done well, but it is at all interesting at this stage in the game? ‘Right Thoughts, Right Words, Right Action’ is an enjoyable record at times, though it seems to lose ground fairly quickly as it progresses. It feels like Franz Ferdinand simply do not have enough ideas to make one truly great record, and instead their albums feature one or two good songs surrounded by filler material. It is arguable though that the band’s fourth album is certainly an improvement from the previous two releases, which seemed to do nothing to elevate the band’s position as a great indie-rock band. Although ‘Right Thoughts, Right Words, Right Action’ is a better record than their last, it still doesn’t manage to be a truly great record. 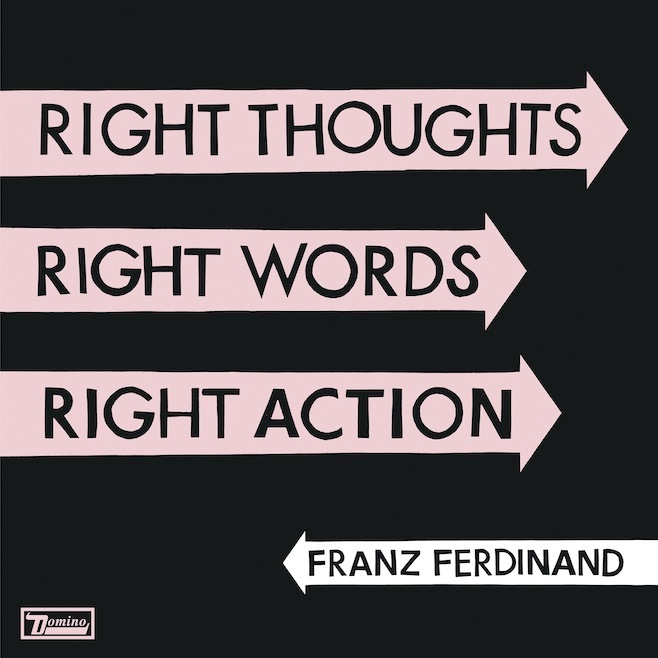 Franz Ferdinand’s fourth studio album ‘Right Thoughts, Right Words, Right Action’ is out now. The long awaited return of Nine Inch Nails offers us ‘Hesitation Marks’, the 8th album in the band’s repertoire, and the 28th HALO in the series. The latest album features many of the elements we’ve known and grown accustomed to by Nine Inch Nails, whilst also featuring the odd moment here or there that just shows how much Trent Reznor has progressed as both a musician and an artist. ‘Hesitation Marks’ is in many ways a very satisfying album, which manages to fill the void left by Reznor back in 2008. There’s many tracks that seem to just feature every great element that makes up a great Nine Inch Nails’ song, making ‘Hesitation Marks’ a great album that fits in perfectly with Nine Inch Nails’ discography. There’s many strong elements present on ‘Hesitation Marks’, which combines many of the elements we’ve come to know from Nine Inch Nails on all of their albums. Reznor seems to have collected each element he’s built up with every album, and used each and every strength to produce ‘Hesitation Marks’. It’s a phenomenal follow-up to the 2008 release of ‘The Slip’, which was satisfying to fans, if a little flawed in places. ‘Hesitation Marks’ seems to be a much stronger album, with each song fitting well into the overall scope of the album, contributing brilliantly to it’s shape and design. Each song seems to have enough elements on them to just work, with there being a wonderful flow and diversity to the songs themselves. It’s great to hear Reznor not completely indulging in one particular musical style, but instead utilizing a great many to create a diverse sounding album. There’s some typical pumped up industrial moments on the album, which are contrasted by more slower and perhaps, a little indulgent, tracks. ‘Hesitation Mark’ isn’t without flaws though. Whilst it is perhaps one of Reznor’s strongest albums released in the past few years (including his side-project How To Destroy Angels), it is still flawed by the odd one or two problems which seems to affect the overall impact of the album. The album has an incredibly strong start, beginning with some of the album’s (and perhaps some of Nine Inch Nails’) best songs. However, as the album progresses, there’s the odd one or two moments which seems to just lack the intensity that is present on the album’s stronger parts. Perhaps this is because Reznor entered the studio without a full album in mind, and ‘Hesitation Marks’ is the result of just pure luck when writing songs. Overall though, even with it’s flaws, ‘Hesitation Marks’ remains a great album, and perhaps one of the best of the year. It marks a welcome return of Nine Inch Nails’, and is in many ways a very satisfying and creative album. There’s many tracks on the album that seem to be as strong both musically and creatively as some of Nine Inch Nails’ most well known and loved songs. Whether or not it will become some of fans’ favourite Nine Inch Nails’ album is up to them. It’s arguable that it is in some ways superior to some of Nine Inch Nails’ previous releases. I certainly like to think so at the very least. All I really know is, I’m glad Nine Inch Nails’ are back. Nine Inch Nails’ eighth studio album ‘Hesitation Marks’ is set for release on 3rd September 2013. The Polyphonic Spree expand upon their ever-growing sections with their fourth album ‘Yes, It’s True’. Relishing in their bizarre yet lovable and accessible pop-rock records, The Polyphonic Spree offer what is a wonderful follow up to their previous album. Featuring much of what we’ve come to expect from The Polyphonic Spree, ‘Yes, It’s True’ features much of the choral singing, peculiar yet lovable instrumental movements and the crazy, bizarre and somehow easily accessible song structures. There’s everything in the making of a wonderful Polyphonic Spree album here, though it does raise the question of whether or not the band’s style is becoming a little bit stale or not, and if we’ve now heard the full amount of what there is to be heard from by the band. ‘Yes, It’s True’ follows on from pretty much every Polyphonic Spree album, rather literally as it continues the cycle of each track being named a specific section. It gives the impression that each Polyphonic Spree album is designed to run through into each other. There’s a lot that can be enjoyed on ‘Yes, It’s True’, which features a nice mix of upbeat and somewhat crazy songs, and more down-tempo and mellow tracks. The diversity of the tracks and their sound gives the album a great feel as it progresses from track to track. There’s enough to keep the listener’s attention. There’s some wonderful tracks on the album that seem to be as good as some of their greatest tracks. It seems The Polyphonic Spree just have that innate ability to somehow manage to continue doing what it is they’ve been doing all their careers, and still make it seem great. The only problems I find on ‘Yes, It’s True’ is that The Polyphonic Spree are now onto their fourth album, and although they have a wonderful style that has worked incredibly well for them, we still haven’t managed to hear anything that is truly new from them in the past few years. There’s a lot that is enjoyable about The Polyphonic Spree, whose music is just easily accessible and enjoyable. And yet, we’ve not really seen much from the band that suggests they have anything more to offer. As disappointing as it is to say, there is a chance that The Polyphonic Spree might just be a one-trick pony, who only really have one style of album to offer. As odd as it is, it does seem to work well in their favor at the moment, though if they continue in this fashion then they may well end up producing very boring and repetitive albums. For now though, ‘Yes, It’s True’ can easily be enjoyed as one of The Polyphonic Spree’s better albums. It is certainly a step up from ‘The Fragile Army’, which seemed to just under-deliver on a few parts in the album. ‘Yes, It’s True’ though just delivers great track after great track, and features a wonderful variety of fun and mellow songs. It seems the whole community involved in the album has just really come together to produce something that they’ve all enjoyed producing and making. It is one of the elements that really makes The Polyphonic Spree such an enjoyable band to listen to. The Polyphonic Spree’s fourth album ‘Yes, It’s True’ is out now. Following on from their somewhat successful album ‘Four’, Bloc Party have produced a rather quick turnaround on their next release, titled ‘The Nextwave Sessions’. This EP release comprising of five new songs, seems to sum up most of Bloc Party’s career, featuring elements from their four previous album releases. It is an interesting release, and one that features some fairly interesting songs that might become some of Bloc Party’s most memorable songs. There’s some interesting moments that seem to go somewhere in true Bloc Party, but for the most part, it is a rather lackluster release by Bloc Party that doesn’t really do much. 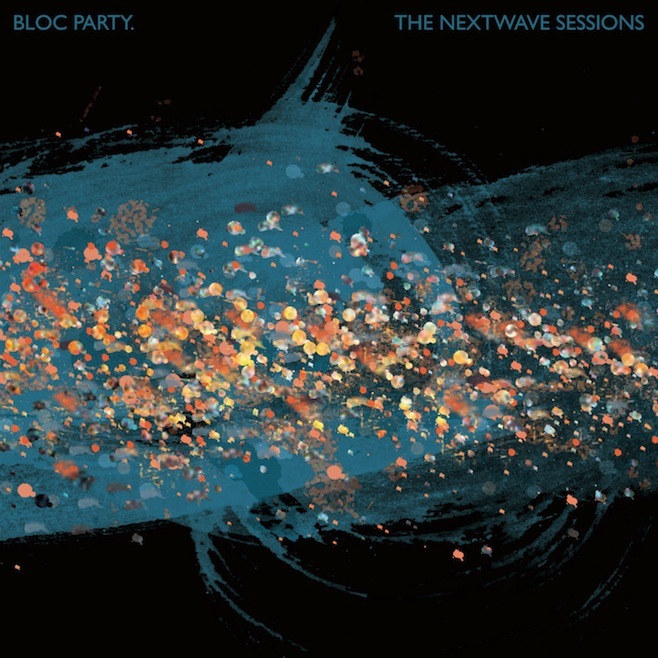 ‘The Nextwave Sessions’ seems to be an attempt on Bloc Party’s part to simply draw a bridge from their previous releases, and perhaps what will maybe be their future releases. There’s elements of all of Bloc Party’s previous albums on ‘The Nextwave Sessions’, whilst also some new ideas. It is an interesting release, and one that shows off what Bloc Party have to offer. A few of the tracks are incredibly enjoyable, featuring the many elements that make up a great Bloc Party track. However, the whole EP release seems just a little bit inconsistent. The five tracks on the EP are certainly interesting in their own ways, but they don’t seem to compliment each other as the tracks transit from one to the other. It feels a little bit like a compilation of leftover Bloc Party tracks that never made it onto the album, and that Bloc Party haven’t put much thought into how the whole EP sounds, but instead have just compiled these five songs and slapped a name on top of it. It disappointing, as Bloc Party seem to have been on a bit of a downward slope since the release of ‘Four’, and ‘The Nextwave Sessions’ does nothing to really pick things up. Bloc Party have essentially released what is a fairly dull EP release that doesn’t really do much at all. Whilst a few tracks are enjoyable on ‘The Nextwave Sessions’, it just simply isn’t enough to make it a really good record. The simple fact of the matter is that if ‘The Nextwave Sessions’ was to suddenly disappear off the face of the earth, then nobody who would have heard of it would truly miss it. It’s simply not enough of a record to make it something substantial in the discography of Bloc Party. One would have expected more from Bloc Party, who have produced some truly great indie rock records in their time. Now though, it just seems like they may have given up at times. Bloc Party’s latest EP release ‘The Nextwave Sessions’ is out now. 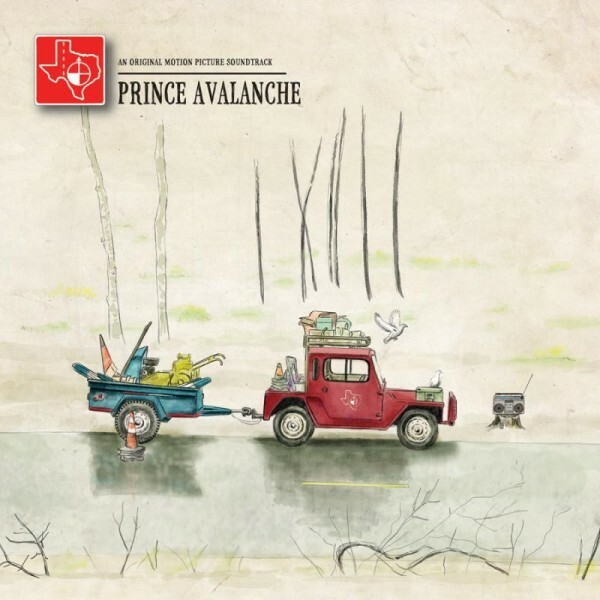 The soundtrack album to the Prince Avalanche, written by post-rock band Explosions in the Sky, and accompanied by David Wingo, is a fine album that serves a dual purpose of accompanying the film it was written for, and also being a delicate and enjoyable instrumental album. ‘Prince Avalanche’ features Explosions in the Sky doing what they do best, writing instrumental music. It seems that David Wingo’s presence on the album itself though is rather significant, as there is a rather drastic change to Explosion in the Sky’s sound. One might expect from Explosions in the Sky, a rather loud roaring post-rock experience, featuring large build ups and loud crescendos. Instead, the music on ‘Prince Avalanche’ is much more reserved and quieter in tone, which sounds most fitting for a film’s soundtrack. There’s lovely elements to ‘Prince Avalanche’, whose warm and gentle instrumental passages offer up security and joy. At times, the tone and mood reflect other emotions, undoubtedly in conjunction with the film’s specific scenes of course. Normally, it is fitting to see a film first and then listen to the film’s soundtrack separately, though it is arguable that ‘Prince Avalanche’ manages to carry it’s own weight. As an album package, there is a fair amount being offered by Explosions in the Sky and David Wingo. There’s a few wonderful tracks that offer as much emotional impact as some of Explosions in the Sky’s best music. The influence of David Wingo on the album as well allows us to see another part to Explosions in the Sky’s music. Whether this is due to Wingo’s ideas or not, it is still clear that his presence on the album suits the overall experience itself. The only disappointing elements of ‘Prince Avalanche’ are the fact that most of the tracks are very short, and at times, once you start enjoying a few of the instrumentals, they then just disappear to be replaced. This is perhaps one of the few elements that restricts ‘Prince Avalanche’ in it being an enjoyable album, as it makes it hard to enjoy it as a musical album when each musical moment keeps disappearing away. A few tracks on the album manage to combat this by being satisfyingly longer, though most tracks are only around a minute and a half in length. This is suitable for the soundtrack, as these instrumental passages tend to accompany short scenes in films, though when ‘Prince Avalanche’ is listened to as an album package, it adds an element of disappointment. Overall, Explosions in the Sky and David Wingo have teamed up to make what is a lovely soundtrack. It is arguably some of Explosion in the Sky’s most interesting music in their career, as it explores different directions than what we are used to by the band. It is satisfying to see the band exploring different musical ideas. David Wingo’s place on the album is also wonderful, as it helps to add to the delicate balance that is present in the music. It’s interesting, as in some ways, it seems to be a blatantly obvious idea to use a post-rock band to write a soundtrack, though Explosions in the Sky have managed to really pull one out of the bag, by teaming up with David Wingo and writing an album that is unlike most of the material the band have produced before. Explosion in the Sky & David Wingo’s soundtrack album ‘Prince Avalanche’ is out now. Post-rock band Trance Lucid demonstrate on their latest album ‘Palace of Ether’, some interesting styles to the genre. Their latest album contains the very elements of post-rock music at the core, showing off some interesting composition styles. Made up of 15 tracks, ‘Palace of Ether’ is a rather long post-rock album, which is hardly surprising considering the genre. There’s moments on ‘Palace of Ether’ where we can see some real musical talent coming through, expressing the true strengths of Trance Lucid, and the genre they have embraced. At other times though, ‘Palace of Ether’ is limited by what seems to come across as a bit of an amateurish sound. On ‘Palace of Ether’, Trance Lucid certainly display their own slant on what is slowly becoming an incredibly established genre. Rather than opting for long instrumental passages that feature tricks and techniques involving various instruments, Trance Lucid instead seem to just go down a different direction, simply presenting post-rock instrumental music that is, in essence, like any other normal indie-rock band, just without the vocals. This is arguably perhaps the style that all post-rock bands or artists fall under, but Trance Lucid are perhaps one of the few to capture the style of rock music without vocals perfectly. It works well for Trance Lucid in some ways, and is perhaps one of the biggest strengths in ‘Palace of Ether’. I find though, that although it is interesting that Trance Lucid have clearly established their own style within the genre, they are still missing something that makes the music truly great. For the most part of ‘Palace of Ether’, there are simple guitar riffs and what-not, which seems to make up around 85% of the album’s sound. At various times, there’s some wonderful instrumental moments, such as guitar solos or the odd occasional instrument making an appearance, but they seem to disappear as soon as they arrive, leaving a few of the tracks with an element of disappointment, as the best element in the track is suddenly robbed from the listener. Trance Lucid have simply made a rock album without the vocals, though in doing this, they’ve lost an important layer in their music. It doesn’t have to be vocals of course, but there is something missing in the layers of instruments that seems empty, and would easily benefit from… well anything! ‘Palace of Ether’ has its moments, and there’s some particular places in a few of the songs where there’s a lot of talent being emanated by the various members of the band. It seems though that for the most part, ‘Palace of Ether’ is just too repetitive, and if I dare say so, a little bit boring. There’s some moments that suggest brilliance from Trance Lucid, providing they just iron out the rather dull moments in their music. All Trance Lucid need to really do, is just write and compose songs that aren’t too similar to each other in terms of sound. Once they’ve managed this, then I’d bet their music will all come together perfectly.